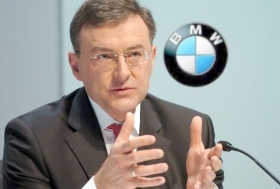 CEO Reithofer is preparing to push BMW further into making smaller cars. MUNICH – BMW AG is working on a new front-wheel- and four-wheel-drive vehicle architecture that will underpin a new range of entry-level BMW cars as well as next-generation Mini models. “There will be front-wheel-drive BMWs in the smaller vehicle classes in the future,” BMW CEO Norbert Reithofer (pictured) said at the company's annual financial results press conference here today. Currently, all BMW models are rear-wheel drive and all Mini variants are front-wheel drive. BMW development boss Klaus Draeger said the new vehicle architecture will debut in 2014 with the arrival of the third-generation Mini hatchback. He said the new architecture will enable BMW to produce a range of vehicles that are between 3800mm and 4300mm long. By comparison, Volkswagen's Fox, Polo, Golf, Beetle and Scirocco model lines fit within the same size range, which covers everything from minicars to subcompacts to compacts. For BMW, the new front-wheel-drive models will fit below its entry-premium 1-series models, which Draeger said would keep their rear-drive architecture. Reithofer said: "We expect the premium small car segment to grow by 4-6 percent annually until 2020," adding that the group would cut its CO2 fleet emissions by at least 25 percent by 2020 versus 2008 levels, when they were 156 grams per km.